Where does Tidy organize photos? Does Tidy keep a copy of my photos? not store nor use any of your media. What happens when I delete Tidy? IOS App. 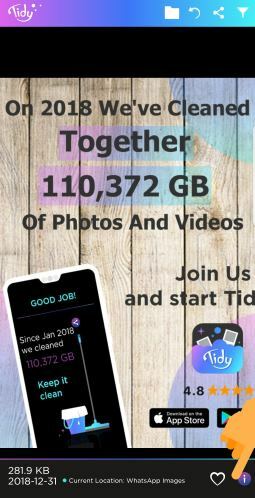 Deleting Tidy will not have any impact on your photos and albums. What happens when I drop a photo accidentally? Undo is available once for every action. What happens when I drop a photo? Can I recover the photos I deleted? delete the photo until it will be deleting permanently from your IOS device. Can I find my duplicate photos? Where does Tidy create albums? What happens when I organize a photo into an album? photo is tag on the selected album in Photos IOS App. Is my existing album shown on Tidy? I change the order of the albums? What happens when I create new album in Tidy? you can tag media into this album. What happens if I make changes to albums outside of Tidy? will be in sync with the changes you will do outside the app. 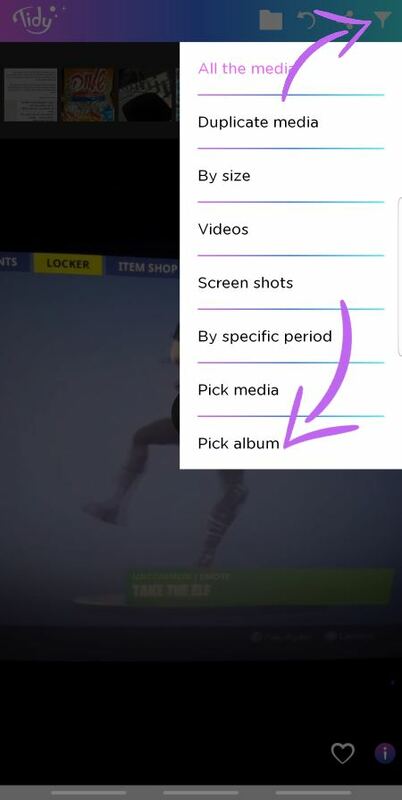 What happens if I delete an album in the Gallery? On IOS the albums is Tags of all the photo and therefore, the only thing is that the album will not be exist anymore. All the photos will be on the camera roll. Android – no need to delete it again from any place. device, you cannot recover them. Can I see Which media occupies the most space? creates albums directly in your Android Gallery. photo is moved to the selected album in Android Gallery. What happens when I delete a photo from an album? photo will be deleted permanently from your device. Tidy won’t be able to display any photos in this album because they were deleted from Android Gallery. Tidy does not keep copies of your photos. how can I free up storage as quickly as possible? Tap on Tidy logo and reset. Tidy Organize mode – tap on the folder icon in the header bar. Open Tidy Organize mode – tap on the folder icon in the header bar. your folder will be shown in the right side of the screen. What you can do with the albums Bar? ★ You can add new album – tap on the +Folder and give it name. 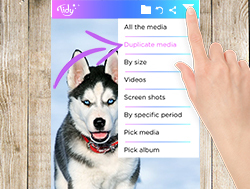 Start organize all your photos and videos – Drag and drop photos to desire albums, or just tap on the desire album. dragging you can see the name of folder the media will move to. All the work you are done via Tidy will be represent in the default gallery of your device After you will organize all the photos it will be easy to keep your gallery organized with open Tidy every day and organize your new photos. Can I Compare similar photos? 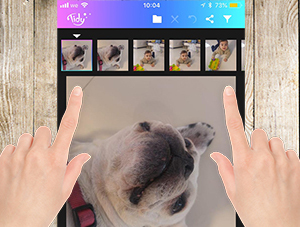 With Tidy it’s easy to compare similar photos. Just tap on the right/left side of the screen to open the compare mode. tap on the right side to move forward one picture and tap on the left side go back one picture. 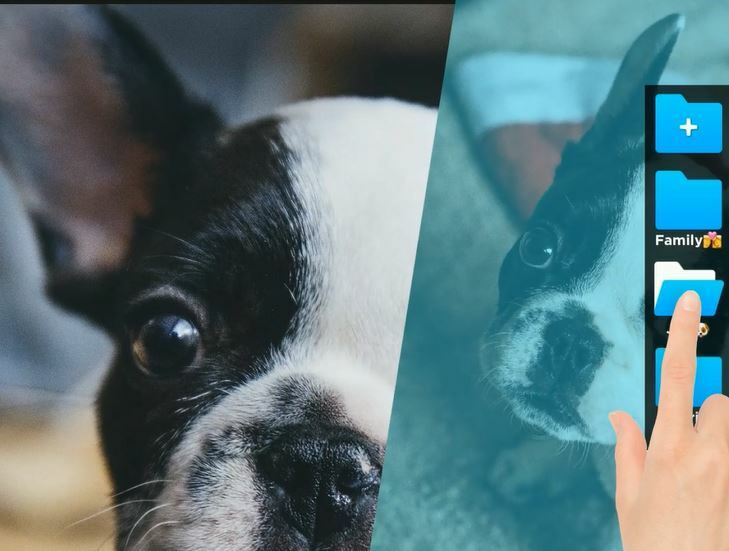 now – do it fast and see the smallest difference between your photos. you don’t took the photos in the same time? to close the compare, drag the compare window up. To see the next/previous photos – tap on the right/Left side of the screen. it’s possible to see file info? it’s so simple fast and easy! 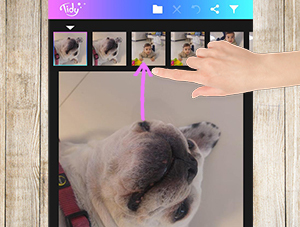 now you can see all your photos in full screen mode!